Each November we have a Challenge Project in conjunction with our Potluck dinner. This year we repeated the Pillowcase Challenge from a few years back. The Challenge Table is the circular one. 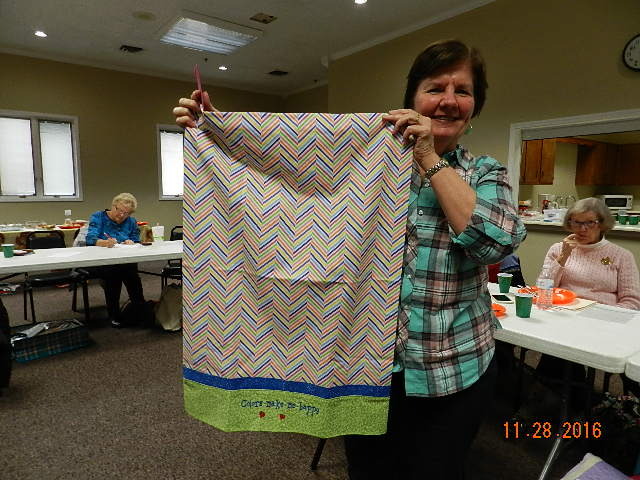 Each pillowcase is numbered, and our members vote on their favorite. 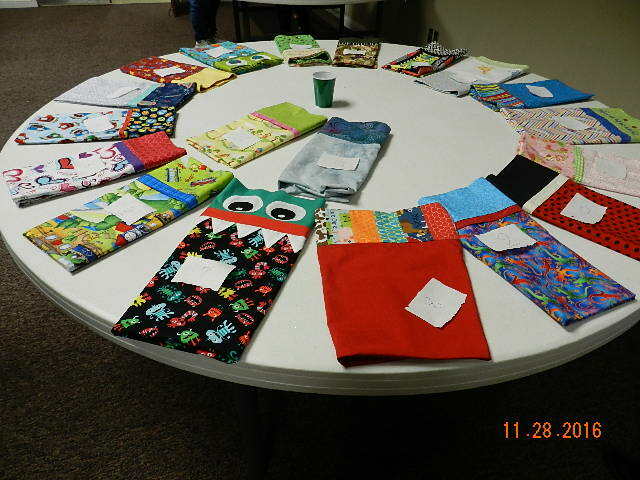 The second table contains the additional pillowcases made by our members. 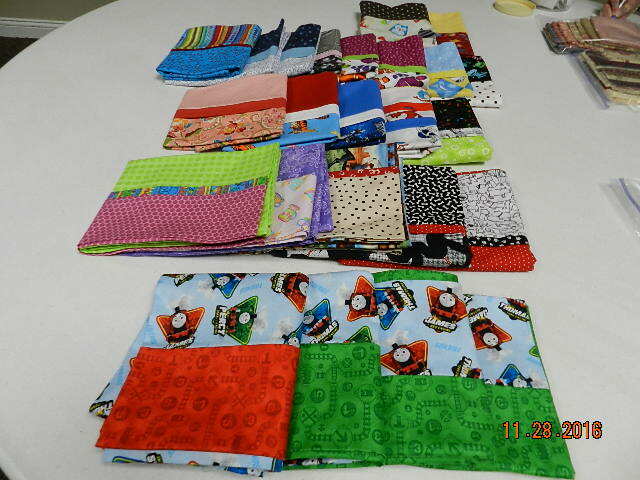 All the 43 pillowcases will be delivered to Kosair Children's Hospital for Christmas gifts to the patients. And the Winner is: Bev Weis with "Colors Make Me Happy"